The Order of Malta is permanently present with medical, social and humanitarian projects in most countries in the world. Its 13,500 members, 80,000 permanent volunteers and qualified staff of 25,000 professionals – most of whom are medical personnel and paramedics – form an efficient network that includes everything from emergency relief for refugees and the displaced living through war and conflict, to intervention in areas hit by natural disasters, hospital work, medical care and social services. Its programmes, run independently or within a framework of partnerships with governments and international agencies, are now active in 120 countries. Aid for the victims of natural catastrophes and armed conflicts has intensified in recent decades. Through its national Associations, volunteer corps and worldwide relief agency, Malteser International, the Order of Malta provides emergency medical and humanitarian aid and works with the affected populations to implement reconstruction and disaster preparedness programmes. The Order assists refugees across the world in countries of origin, countries of transit and countries of arrival. With a goal of long-term development, the Order of Malta stays after the crisis has passed with the objective of reducing poverty and vulnerability. The Order of Malta’s social care programmes reach out to thousands of people in need of dedicated care. These are the daily acts of support and kindness which do not attract great attention but which display the ongoing commitment to care of the Order’s members and volunteers. Dementia patients, the severely disabled and people requiring palliative care receive constant attention in specialist centres. In response to poverty brought on by the economic crisis, additional soup kitchens and food banks are operational. 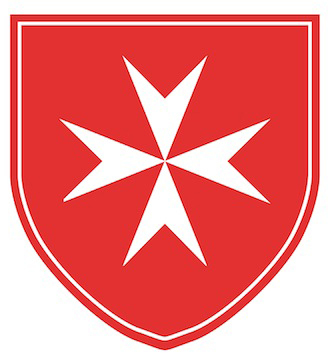 The Order of Malta both supports and directly manages several hundred medical centres, 20 hospitals and 110 homes for the elderly, as well as first-aid and ambulance crews.